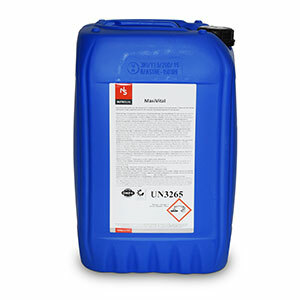 BabySuin is a ready-to-mix, easy dissolving, appetising product for use in suckling piglets directly after birth. BabySuin is a supplementary feed for very young piglets. It is used during lactation, from a few days after birth until just before weaning. Thanks to BabySuin's tried-and-tested composition and high fat and lactose content, piglets' intake is excellent. The result is sturdy weaners which avoid any waste of money, with no health issues nor feed wastage during rearing. BabySuin is fed to your sucklers twice a day at a mixing ratio of 400 g to 1 litre of water. The AutoSuin comes in very useful here. BabySuin can also be combined with PreSuin and your usual weaning feed. 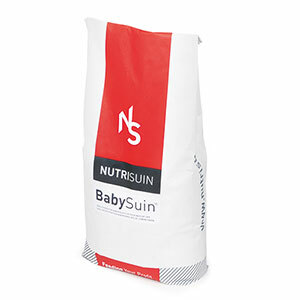 BabySuin is supplied in bulk or in easy-to-use 20 kg sacks (1500 kg per pallet). For convenience and to avoid perishability issues, BabySuin is supplied dry (shelf life 6 months). 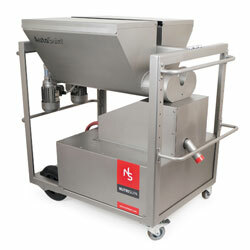 BabySuin is very easy to prepare using the AutoSuin. What do you achieve with BabySuin?